With the movie version of the Lorax coming out this week, I thought a lesson dedicated to this great Seussy classic was in order. So here is what we did. 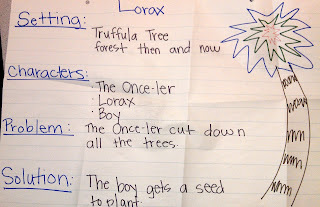 We read the story and then made an anchor chart about the story's four elements. 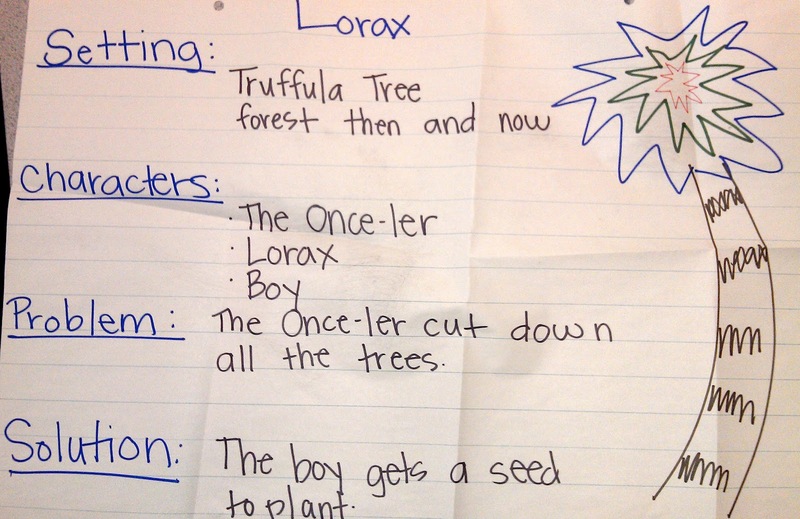 This is a really great story to talk about problem and solution because there isn't a clear solution, it is one that really makes students think! 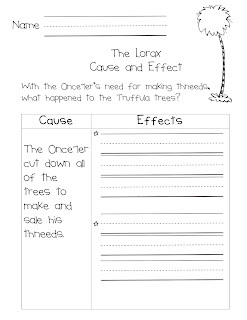 We also talked a lot about cause and effect. Again, this story is perfect for this discussion because one cause has multiple effects. After our discussion, both whole group and partner, the students completed this independent practice page. You can get it here for free (because I love our readers!). Then, I had the brilliant idea to incorporate an art project! 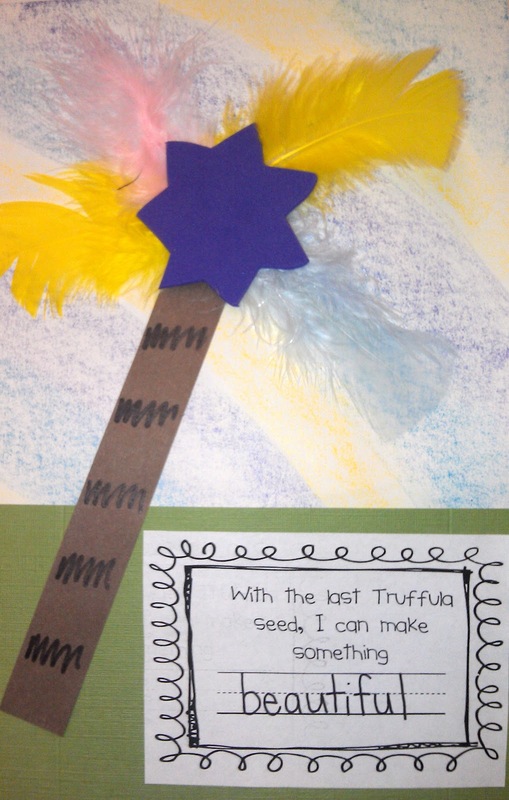 We made truffula trees. This turned out super cute. For the background we took old crayons and took the paper off then rubbed them horizontally. It made a really need textured sky. 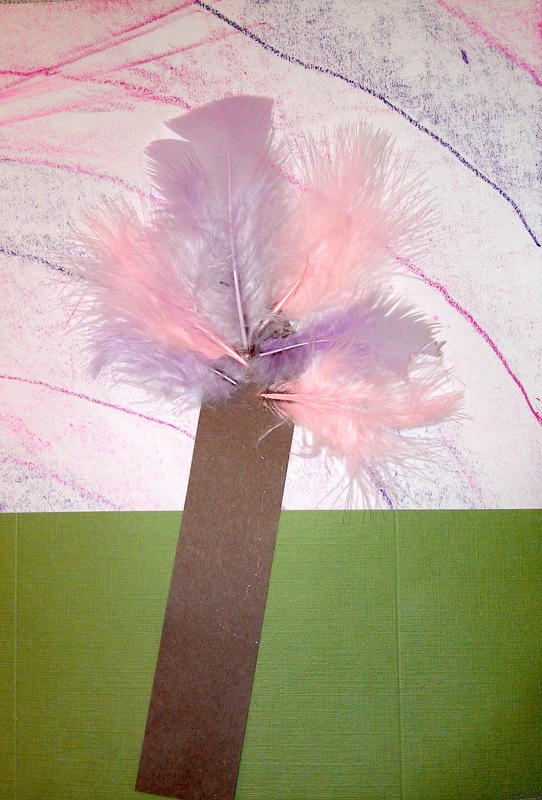 Then we used feathers for the tops of the trees. Memorable moment of the day: So it has been one of those days. 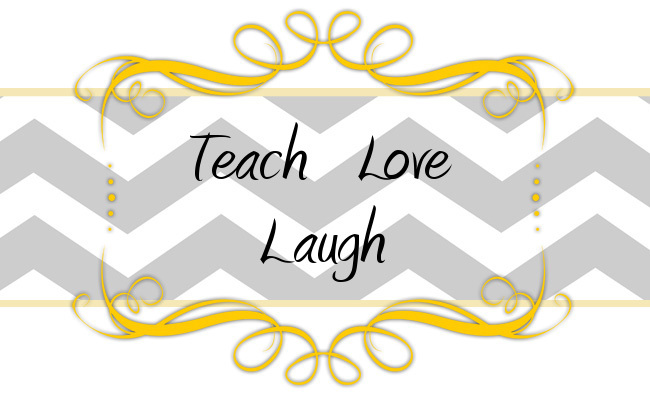 You know the ones that seem to inevitably happen right before Parent Teacher Conferences (ours are next week). The ones that leave you exhausted. Well, one of my special friends came back from math rotations without his shoes and socks on. Yep, barefoot. Just walked on into the classroom as if this is what he does every day. Come to find out, he took his socks off during math and put them on his hands like gloves. Then proceeded to wave them around other students' faces. Then he began to kick off his shoes so they would hit other students. Awesome. Can tomorrow be Friday please?! Anyone else have these types of wonderful moments lately?! I love your Truffula trees! Thank you for your sweet comment! I am your newest follower! I love this freebie! Thank you for sharing, and I'm excited to start following you two!